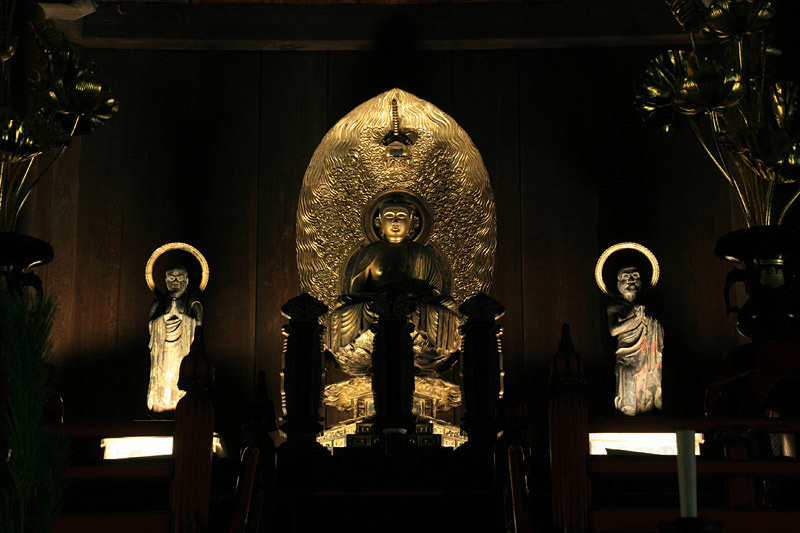 Last year I wrote an article called "The Real Japanese Monk's Guide To Buddhism In Japan." At the end of it I said that we would one day explore a real Japanese monk's day-to-day life. It took a while, but that day has finally arrived. We are finally diving into the intricacies of a the monk life in Japan. I interviewed the same helpful monk from my article last year, Yugaku Ikawa of Daihisen Tatsunoji Temple in Yagyu, Nara. He belongs to a Japanese group of Shingon Buddhists from the Koyasan Shingon-shu sect. The lives of monks from different sects will differ. Even monks from within the same sect are likely to take slightly different paths because each region often has different habits, and monks who have different ranks and/or titles have different responsibilities. 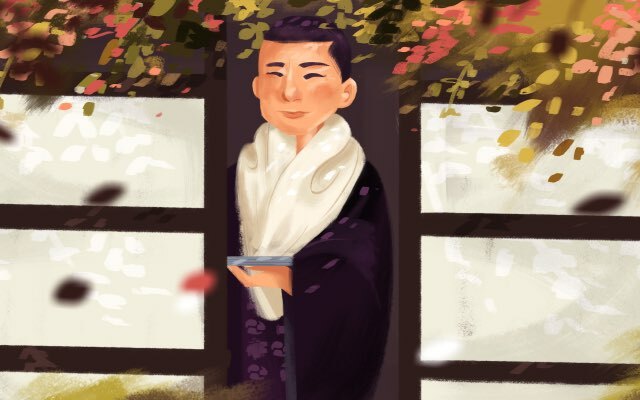 Even so, this interview is a great way begin understanding the lives of Japanese monks. I hope you enjoy it! There are three different types of temples: kankou-dera 観光寺（かんこうでら）, temples for sightseeing, gokitou-dera 御祈祷寺（ごきとうでら）, temples for praying, and danka-dera 檀家寺（だんかでら）, temples for supporters. My temple is a danka-dera. To wrap your head around the idea of danka-dera, imagine Twitter. My temple is a twitter account. I have some followers who like my temple. They are called danka 檀家（だんか） or danka-san 檀家（だんか）さん and they provide support to maintain my temple. In return, I assist with their worship for their Buddha and ancestors' souls. With this in mind, I'll walk you through my life as the monk of a danka-dera. Good morning! I get up around 5 am, then worship. I read sutra to the Buddha statue in my temple and pray for the peace of the day. It's like a greeting to Buddhist Gods. I clean my house and altar room. I offer rice and tea to the Buddha statue. I eat breakfast and prepare for the day. My breakfast is usually a banana and yogurt, since my stomach is not that strong. But in principal it should be shojin ryori (monk's vegetarian diet). 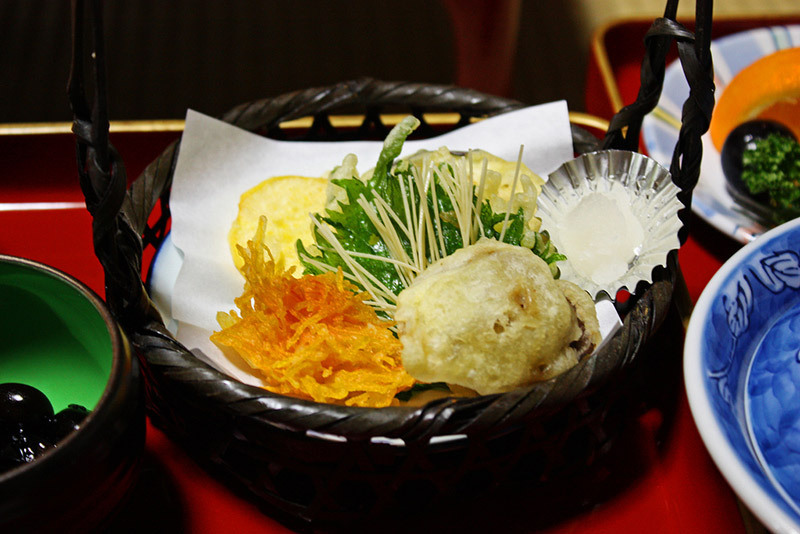 Although it's vegetarian, there are five vegetables called goshin 五辛（ごしん） or gokun 五葷（ごくん） that are prohibited for monks to eat: green onions, garlic, Chinese chives, scallions, and hajikami, which means both ginger and Japanese sansho pepper. Why? Because they act as aphrodisiacs and are too good for building energy. We are supposed to be calm all the time. If there are no funerals that day, I visit the homes of my danka-san (supporters) for worship. There are two types of worship. One is called tsukimairi 月参（つきまい）り, which is a monthly worship on monthly anniversaries of each family member's death. I usually visit five to ten places for tsukimairi in a given day. Each tsukimairi usually takes about 10 minutes. The other is called houji 法事（ほうじ）, which is a Buddhist memorial service which almost all family members attend. These is conducted on the first, third, seventh, thirteenth, seventeenth, twenty-third, twenty-seventh, thirty-third and fiftieth anniversary of a family member's death. Each houji memorial service takes about an hour. At a houji memorial service, I not only do worship but also preach a Buddhist sermon. Then I visit the grave and worship there too. When I offer houji memorial services, I usually eat lunch with the family while remembering the deceased and sharing stories about them. At these times, I eat meat and drink alcohol if they are offered because it is rude to refuse. At whatever time I return from my day's activities, I start the evening worship. The length of the worship is about a half hour to an hour. Afterward I clean for about twenty minutes. When all the work is done, I have something tasty for dinner though originally monks are supposed to fast during this meal. 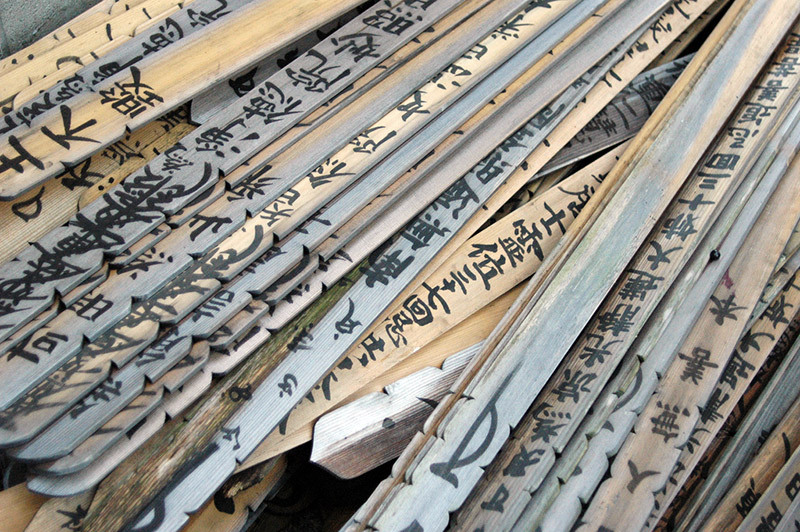 Overall, I do houmu 法務（ほうむ）, which are Buddhist clerical duties, early morning and evening. 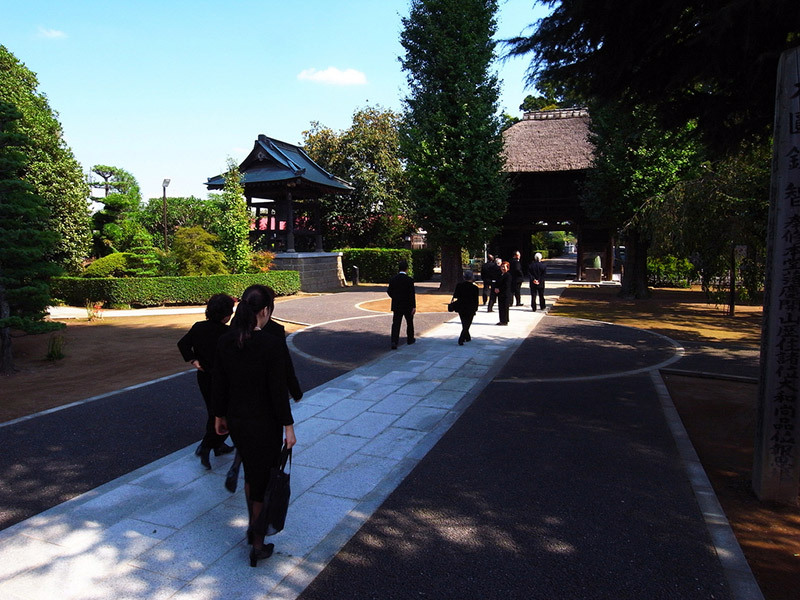 Later on I do danmu 檀務（だんむ）, which are worship services for the temple's supporters, during the day time. When somebody passes away, I get a phone call. It can be midnight or early morning. When I get the phone call, I visit the home of the deceased to offer Makura-kyo (also referred to as makura-gyo), which is one of the services held immediately after a person's death. This is done to offer the first sutra chanting for the first time after death in order to keep the soul of the deceased from wandering before the funeral ceremony starts. Even if I already have other plans for the day, the funeral takes priority, so I ask those involved with my predetermined plans to kindly reschedule. If there are two funerals happening at the same time or some other unavoidable circumstance comes up, I will ask another monk from a different temple to help. Private plans are of course cancelled. After finishing the makura-kyo ceremony, I have a meeting with the family about how they wish to conduct the wake (viewing) and the funeral and what kind of worship they would like to be performed. The wake is sometimes held the night a person passes, but it can be the next night too. Before the ceremony, I have to write touba 塔婆（とうば）, which is a wooden grave tablet, and bohyou 墓標（ぼひょう）, which is a grave-postmark. After the funeral, the family cremates the body and I go with them for a memorial service there, but I leave before they collect the bones. Finally, the family buries the remains on a later date, usually on the forty-ninth day after the person's death, which is when the Buddhist services for the repose of soul are held. 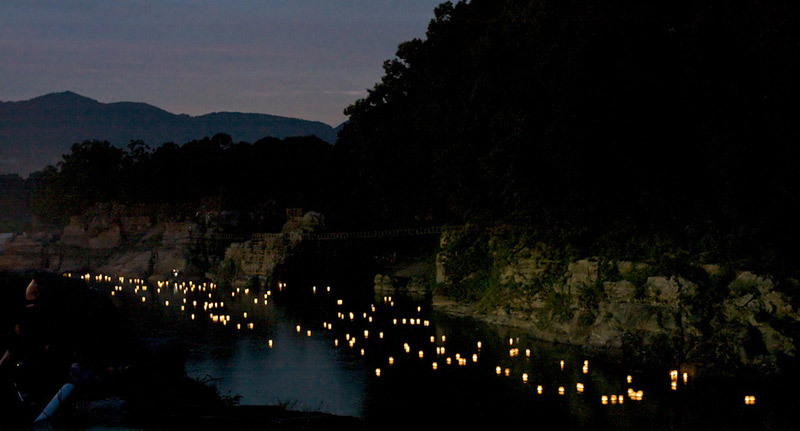 Obon is the Japanese ritual ceremony that welcomes the souls of ancestors from heaven and to sends them off again. Ohigan is a equinoctial week in which Buddhist services are performed. There are ohigan in both spring and autumn. I always do the early morning and evening worship and cleaning, but the daytime shift is very different and much busier during these seasons. At these times, all of the supporters want worship services so I have to visit a lot of places. I usually visit about 30 to 40 places a day, and sometimes up to 50. I get so busy that I can only offer 5 to 10 minutes of worship during this season, though I wish I could offer longer ones. My area is a small countryside town, so my temple's supporters are all in the same area. The supporters of city temples could be all over the place, so they probably wouldn't be able to visit as many supporters as I do (probably 10 to 15 places a day). For both ohigan, I also hold memorial services for the people who died during the war on top of the memorial services held at each house. And We Do It All Again Tomorrow! And that's an average day in the life of a Japanese monk! Did you find it interesting? Did you find any parts that you want to learn more about? I sure hope so! The Other Side: What Do Japanese College Students Think of English?